Variety is reporting another Tom Clancy character is headed to Hollywood. 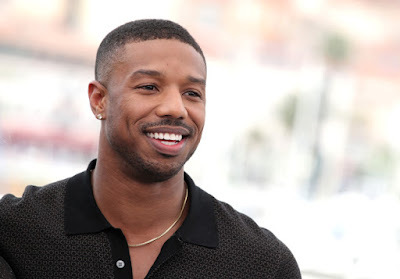 Paramount Pictures has tapped Michael B. Jordan to play Clancy hero John Clark in a new film series. Sources tell Variety that Paramount is developing two pics based on the Clancy books “Rainbow Six” and “Without Remorse,” both novels in which Clark is the main star. “Without Remorse” will be the first film of the two, serving as an origin story for the character. The news comes after Amazon and Paramount TV recently released a rebooted “Jack Ryan” series on its streaming platform, starring John Krasinski, to positive reviews. Clark, a.k.a. John Terrence Kelly, is an ex-Navy Seal-turned-operations officer for the CIA and would go on to appear in 17 novels starting with 1988’s “The Cardinal of the Kremlin.” Though mainly seen as a secondary character who helps CIA analysis Jack Ryan with more of the physical elements of any mission, Clark finally stepped into the spotlight with “Without Remorse,” which tells his backstory on how he came to work for the CIA. Clark was also the focus of “Rainbow Six,” with followed his new task force and its mission to protect the world from its greatest terrorist threats. In films, Clark has been played by Willem Dafoe in Paramount’s “Clear and Present Danger” adaptation, starring Harrison Ford as Ryan, as well as by Liev Schreiber in “The Sum of All Fears,” which starred Ben Affleck as Ryan. The studio has been trying for years to get adaptations off the ground for both “Without Remorse” and “Rainbow Six,” with Chris McQuarrie and Ryan Reynolds circling the projects at one point. Jordan is considered one of Hollywood’s biggest stars currently, and is coming off the massive hit “Black Panther,” which has earned him Oscar buzz for his role as antagonist Killmonger. Jordan has “Creed 2” bowing this Thanksgiving, and has been plotting out his future slate before filming his legal drama “Just Mercy” in the fall. Warner Bros. had been aggressive by pitching him on several properties before Paramount arrived with the prospect of leading a film franchise, instead of just one movie.